General view of the Daphni Monastery. Daphni, or Dafni, is a 11th-c. Byzantine monastery, 11 km north-west of central Athens in the suburb of Haidari, south of Athenon Avenue. It is situated near the forest of the same name, on the Sacred Way that led to Eleusis. The Daphni Monastery was founded about the turn of the 6th century, on the site of the Sanctuary of Dafnios Apollo, where it got its present name from, and reusing the Ionic columns of the ancient temple of Apollo in its portico; only one remains, the others having been stolen by Lord Elgin and moved to England. The Monastery of the Dormition of the Mother of God (Koimisi tis Theotokou) in Daphni, is a major Greek religious monument, a pearl of the byzantine art, dating back to the end of the 11th century: the monastery’s exquisitely designed cross-in-square domed octagon-shaped katholikon has been lavishly decorated. Later, an outer narthex was added with a second floor which housed the library or the abbot's living quarters. Both externally and internally, the church has been built with exceptional craftsmanship. 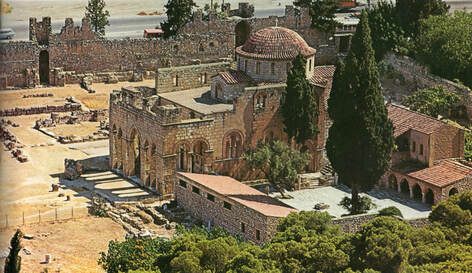 South side, The Monastery of Daphni, Haidari, Athens. 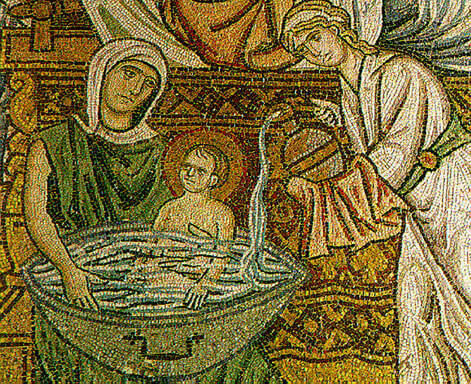 Mosaic from the monastery of Daphni, depicting the bathing of new-born Christ. 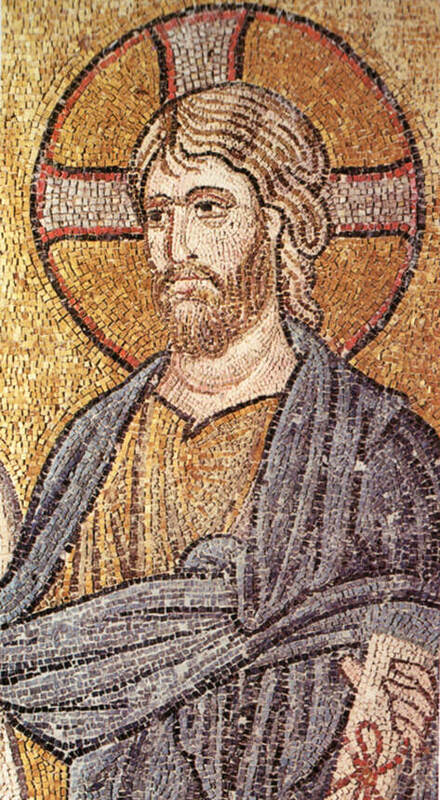 Christ, detail from "The Entry into Jerusalem", mosaic, Daphni. 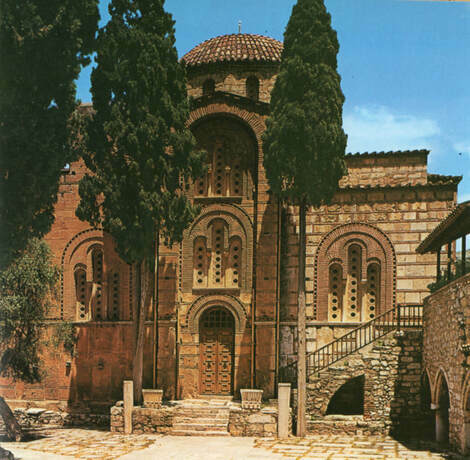 The Monastery of Daphni, Haidari, Athens. Visitors face a wealth of splendid mosaics with golden ground, representative of the classical period in Byzantine Art that was greatly influenced by classical idealism. 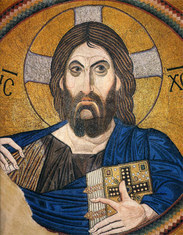 One of the most known among these are, The Pantocrator on the dome, the Assumption of the Virgin, the Crucifixion, the Resurrection, and the prophet Aaron, around the cupola. Then in the narthex, The Presentation of the Virgin, Joachim and Anna, the Benediction, the treachery of Judas, the washing of the feet, and others. In the court, there are two old sarcophagi, one of which bears a coat of arms with fleurs-de-lis (the heraldic bearing of a noble family) indicating that the convent was used as a burial place for the frankish dukes of De la Roche. ​The Monastery of Daphni is included in UNESCO’s List of World Heritage Sites. 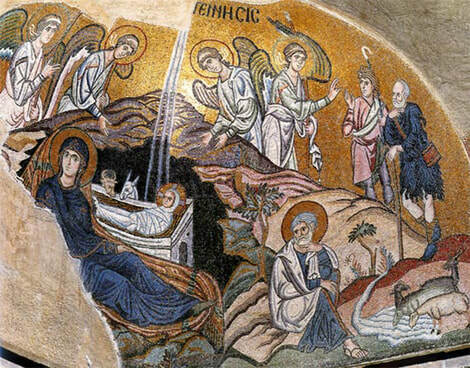 If you are interested in religious tours, this tour is the perfect choice for you. You will have the opportunity to discover two must-see sights on this memorable day-trip from Athens. 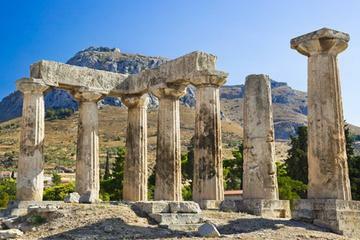 You will explore Ancient Corinth and Daphni’s Monastery.